Superman, Wonder Woman & Batman battle the possessed Bizarro, Artemis & Red Hood and a horde of winged demons from attacking Gotham. Story - 3: In Justice League Action, John Constantine takes a load of nonsense with a diabolical english accent. To see it here in a book is cringe worthy and almost painful. Someone buy these guys some Hellblazer books. The rest if the story feels a bit like filler as one long drawn out fighting scene plays out. I found myself skimming the monologues as they didn't offer anything to advance the plot. 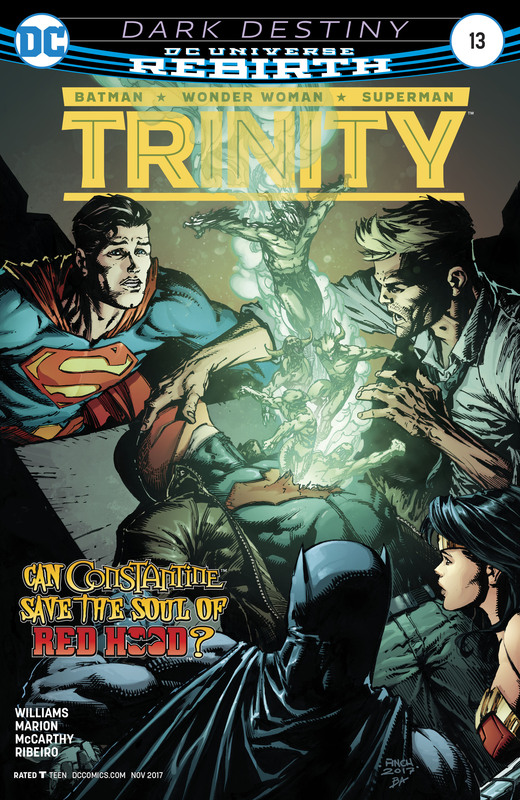 John's actions however, did help put a new twist in action as Superman himself becomes a pawn for the Dark Trinity. It's hinted that this is not a fated battle as Lex has abandoned the villains - does this mean he might show up again? There is more to this story but this issue didn't offer much I'm afraid. Art - 4: Some really dynamic artwork here though despite some really fun layouts and interesting scenes, it felt like the inking was too feint. This is a pretty dark story and I felt some of the bigger splash pages would have benefited more from atmospheric scenes rather than a reliance on color. Cover Art - 3: This cover is the opposite of what I just said. All the atmosphere but none of the dynamic energy of the interior. Nicely illustrated but unfortunately... dull. Variant Cover Art - 4: Love this cover, it combines the strengths of the interior art with the atmosphere and delivers a great cover. 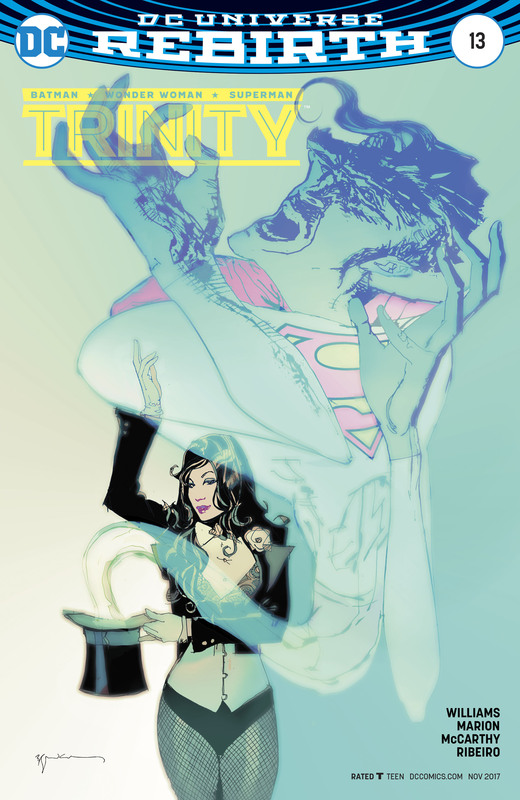 The niggle for me is that it is Zatanna taking out Superman when it should have been Deadman. Yes I know, petty but It would have been a 5 if it followed the story.